Your 4th of July Outfit & Top 5 Summer Must Do's ~ Roses and Rain Boots . Is it really almost the 4th of July weekend? Where has the time gone? This past school year flew by and now the summer is, too. As a result, I wanted to share with y'all my summer bucket list to ensure that I prioritized my must do's before the end of summer. So I put my hands up they are playing my song.... dancing to "Party in the USA" and getting pumped for today's post, thanks Miley! This was actually one of the rare times my nails were not chipped for a photo shoot and of course, I am not even showing them off! Bag goals right here y'all! I am obsessed with high ponytails in the summer. They are super chic and plain old fun! In my mind, the higher the better. These denim shorts are my new favorite. Text to order via Instagram from one of my Favorite Boutiques, Pearls and Plaid! First off, I have a confession to make, I listened to the Miley Cyrus playlist on youtube to help get in the summer spirit. But let's be real, I forgot how much I enjoy listening to her music before her crazy stage (sorry Miley, but it had to be said). "Party in the USA" was definitely my summer jam a few years back, this song was also perfect for writing this post. 1. To read at least 10 books. The summer is approximately 10 weeks long, so I try to motivate myself to stay productive and I knew by reading 10 books (one book/week). Although I enjoy reading this goal encourages me to not make excuses as we all do. Currently on my summer reading list Mystic Summer and The Life-Changing Act of Tidying Up (I am only a few pages in and I already feel that this is going to be life changing for my small apartment!) Follow along with me on Pinterest to stay up to date on my summer read list. 2. Stay in touch with friends. I enjoy sending good old fashioned snail mail to my friends. During college this was a regular routine with some friends. I believe these letters helped strengthen our friendships, shout out to my girl LB. This summer I want to continue to send letters and small packages of sunshine to help brighten my friends days. I am also making it a point to reach out to three new friends through snail mail. 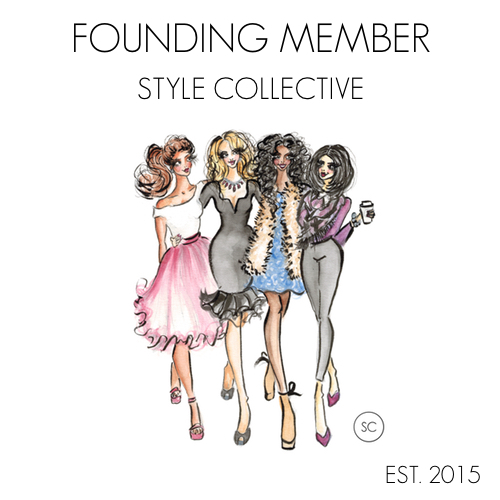 I have made so many friends blogging (read more about some of these fabulous ladies here and here) that I want to connect with my outside of our blogging world and can't wait for them to get their hand written notes! 3. Travel (enough said). This summer my boyfriend and I agreed to hold off on major travel plans to save money for April school vacation. As a result, rather than dwelling on what we can't do, we are maximizing what we are already doing. We are attending a wedding close to Niagara falls this summer, so we booked an extra night on the Canadian side so we can do all the touristy things. I am SO excited about this! I have never been and cannot wait to be amazed. What are your travel plans this summer? 4. Beach it, Ride my Bike and Run More. In other words, I want to be active this summer by doing things I enjoy. I love beaching it with friends, or even myself. I grab my Kindle, towel, sunscreen and head to the beach for an hour or two. I also try to ride my bike or go for a run at least 3 days a week. After countless articles, blogs, self-help books, etc. I have learned it is more important to set obtainable goals then unrealistic ones. I know most weeks I won't work out 5-6 days; however, I can commit to working out three days a week and anything extra is gravy. 5. BLOG. I saved the best for last because I have so many goals for my blog this summer and want to ensure that I dedicate time every week to help me achieve these goals. I need your help too! I am so blessed to have already found so many amazing and loyal readers . Y'all make my day so much with all your kind words. This summer, I would love to challenge you to share my blog with one or two friends who you think you would also love this blog. Thanks for helping to make Roses and Rain Boots fabulous! Those denim and lace shorts are so cute! Love this cute outfit! You look so cute. 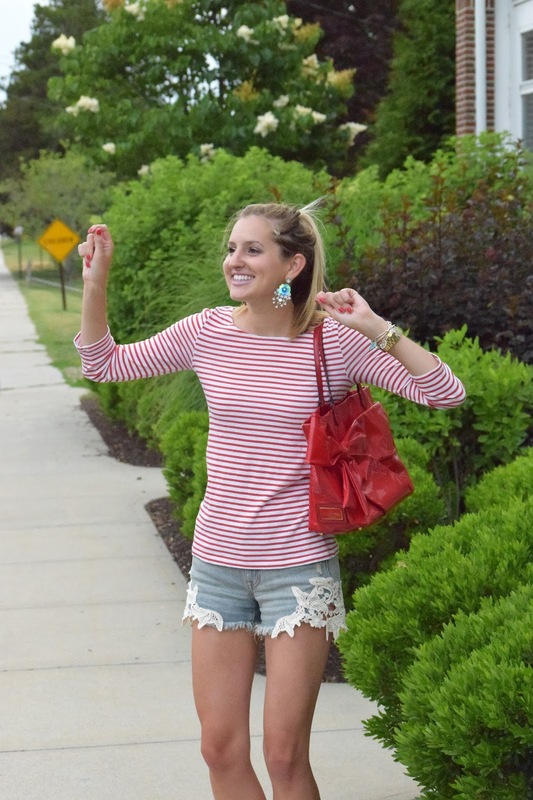 This is such a cute outfit, perfect for the 4th of July! I am in love with that bag! Love this outfit and this is such a fun post girl!! You did save the best for last but all your summer goals are pretty great! Very comfy and chic outfit! love your shorts! 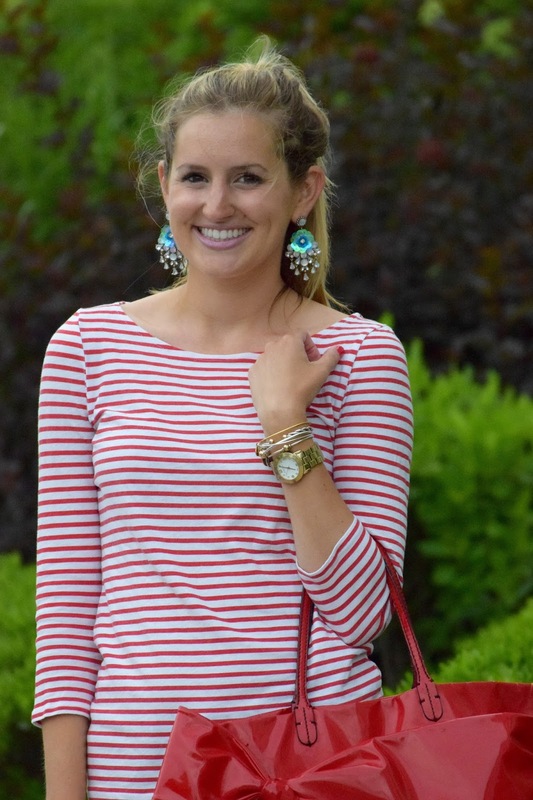 Such a cute look for 4th of July! And I love your earrings! Great look for the fourth!